As a marketer, making the right information about the leads you generate available at the right time is a crucial part of what you provide to your sales reps. With the right details about your leads close at hand, your sales team can have relevant, meaningful conversations that are more likely to result in new business. It's now easier than ever to import leads from Salesforce into HubSpot! Introducing Salesforce Campaign Import - a new way to import some or all of the lead and contact records you have in Salesforce to HubSpot. Implementin g inbound marketing tactics has always created measureable results, regardless of the industry. Medical device manufacturing companies have spent time and money investigating ways to improve their website development and search engine optimization. Some, like MediPurpose, are starting to see success using inbound marketing to drive growth. 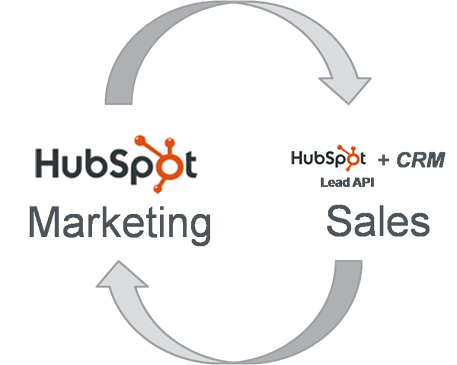 HubSpot's new Leads API, currently in beta, gives marketers bidirectional connectivity between HubSpot's lead capture and intelligence tools and any customer relationship management (CRM) software to provide closed loop marketing to all HubSpot customers. The Leads API is the in a family of HubSpot Application Programming Interfaces, HAPI, that will allow developers to create innovative marketing applications using capabilities and data from customers' own HubSpot's portals. 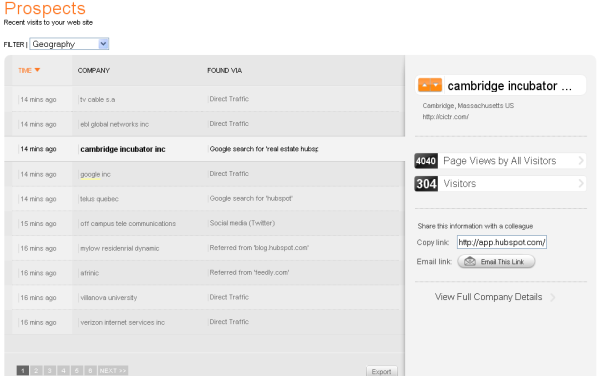 Today, HubSpot customers will get even better visibility into who is visiting their web sites and what companies may be hot leads via an enhanced Prospects Application.